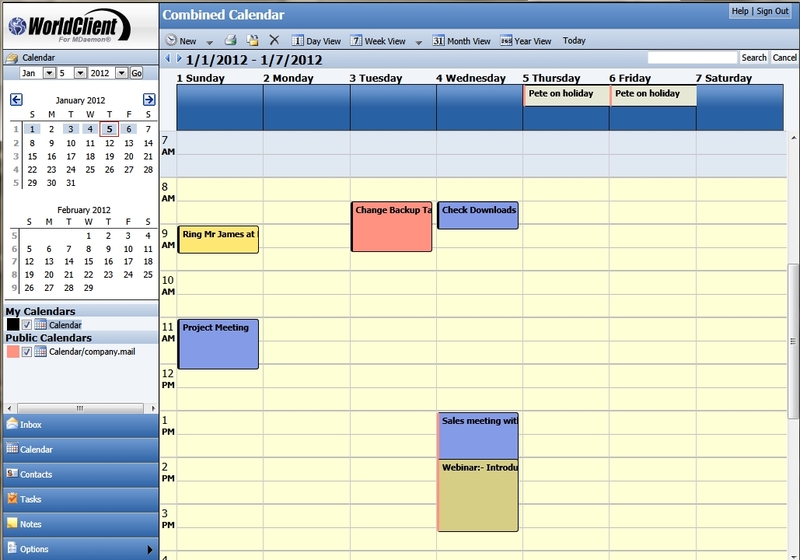 Did you know WorldClient is not only for email but also has extensive built in calendar support? It does not stop at just managing your own personal calendar, but it also provides access to any other public and shared calendars that you have rights to view. One often overlooked feature is the ability to overlay multiple calendars in one single view. This makes it much easier to find out a suitable time slot when booking an event and inviting multiple people, you can easily see at a glance when everyone is free. The users calendar is the same one that is synchronised with Outlook Connector or even with your iPhone, Blackberry or Android device so you don’t even need to be in front of a PC to get important alerts. ← WorldClient Challenge – Can it really replace Outlook full time?